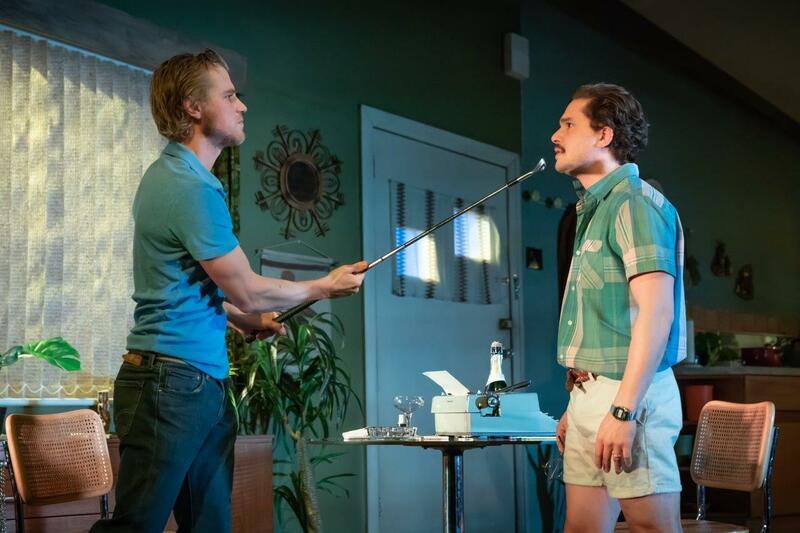 Matthew Dunster’s adaptation of True West is the first ever production of the Sam Shepard play in the UK. The show’s obvious appeal emanates from the actors playing Austin and Lee: Kit Harington (that’s right – this is a chance to see Jon Snow in the flesh, even if you don’t dig the facial hair) and Johnny Flynn. Set in the stifling heat of the Californian desert, True West tells the story of two brothers who get along like a coyote and a cocker spaniel. The action predominantly occurs in their mother’s house where screenwriter Austin is working on a movie that he has sold to a Hollywood producer – but he also has to contend with his younger interjecting brother who steals the spotlight. While the first act builds the tension by establishing the difficult dynamic, the pair excels themselves in the second half as circumstances begin to spiral out of control. The slanted set design captures the intensity between the siblings that have been out of contact for five years but are now trapped by their idealised beliefs of one another and their need to prove themselves to each other. In an after-show Q&A, the leading pair explained that they view the brothers as the two halves of Shepard’s (or any playwright’s) mind: the creative, focused and sensible side “that knows how to spell” and the chaotic and destructive part to inspire the stories. In previous performances, the actors have alternated characters to enhance the duality but knew exactly who he wanted for the parts. Despite not being familiar with Shepard’s work, both Harington and Flynn epitomised the qualities that Shepherd aimed to personify. During some intense moments, they were not as aggressive or powerful in their actions as they could have been but they are close friends offstage, so their caution is understandable – plus there have been a couple of accidents! Arguably, their most impressive feat was maintaining the accident! American Madeleine Potter and Donald Sage Mackay – the only other characters in the play – commented on how impressed they were with the actors’ vocal efforts. As the play reaches its climax, the suffocating conditions of the desert consume the brothers, leaving them in an ominous opposition. The Vaudeville Theatre is the perfect size to ensure that the audience is also engulfed in the tension which is markedly enhanced by the dramatic music composed by Flynn himself. 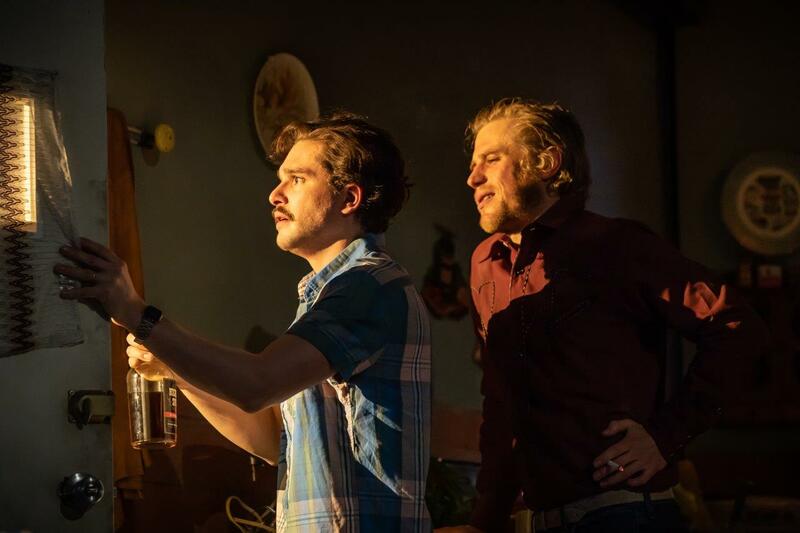 True West is a powerful and thought-provoking play that has been incredibly well adapted for the West End stage – make sure you catch it before it finishes on February 23rd!